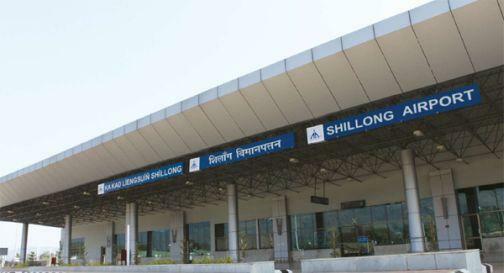 Umroi airport near Shillong in Meghalaya is going for a revamp with expansion of the runway of the airport. The chairman of the Airports Authority of India (AAI), Guruprasad Mohapatra accompanied by other officials arrived at the Umroi airport and examined the obstacles surrounding the airport. He also gave a power presentation about the obstacles surrounding the airport. Mohapatra and his team would hold a meeting with Meghalaya Chief Secretary on Monday to discuss about the removal of obstacles near the airport to pave the way for the expansion of the runway of the airport. The technical team of the AAI also gave a similar presentation on the obstacles near the airport. The AAI chairman said that the removal of obstacles is important for making the airport functional and before installing instrument landing system (ILS). The technical team also observed that several obstructions in terms of hills, trees and power lines in and around the airport have to be removed. The AAI chairman also said that funding will not be a problem for expansion of the runway once the obstacles are removed. The AAI chairman also visited the runway with his team to acquaint himself with the obstacles surrounding the airport and the funnel area which is the controlled airspace around an airport where the approach has to be clear for the safety of the aircrafts. Notably, the airport is located amid picturesque hills and tall trees, some of which pose obstacles for operation of ILS. An area across 224 acres has to be enclosed with boundary walls as well. The 6000-feet tarmac would be extended by another 1500 feet as part of the infrastructure upgrade work. The airport was constructed in the mid-1960s and became operational in the mid-1970s. Later in 2009, additional 224.16 acres of land, acquired for its expansion, was handed over to AAI. In November last year, the High Court of Meghalaya had slammed the AAI for the delay in start of expansion work of the airport.